Timelines of Plymouth-Trinity's rich history have been divided into three sections. Many thanks to the Rev. Jane Aikman and Michael Eby for compiling this information. Christmas Day, 1835, at the home of Mrs. Samuel Brooks, the decision was made to form the Sherbrooke Congregational Church. Twenty-seven people covenanted together on Sunday, December 29, 1835. The first deacons were Alba Brown, David Mitchell and Samuel L. Norriss. They met together in a schoolhouse on Wellington Street. A church was built on Factory Street in 1838 (Now Frontenac Street, site of the former St. Andrew's Presbyterian Church). The Sherbrooke Congregational Church moved to their second church building, at the present site, 380 Dufferin. Architect William Footner designed the building in Greek Revival neo-classical style; it is the best current example of this style in Canada. Their name was changed to Plymouth Congregational Church in honour of the Pilgrim Fathers who landed at Plymouth Rock, Massachussets on December 21, 1620. During this time, Plymouth Hall was added to the first church building. Sunday school rooms were added. The Sherbrooke YMCA was organized by members of Plymouth Church. The present pews replaced older-style colonial pews. The original center aisle was replaced by two aisles. (The photo below also shows more recent modifications, such as the Casavant organ from 1908). The Casavant organ was installed on February 08, 1908 with 3 manuals, 28 stops and 1,200 pipes, at a cost of $3,685. Plymouth Congregational Church obtained an Act of Incorporation from the Provincial Legislature. The old Union Cemetery on Belvedere South was sold and 895 bodies were reinterred at Elmwood Cemetery. $3000 was raised in a single offering for a motor ambulance in the First World War. The Sherbrooke Rotary Club was organized with Dr. Read as charter president. Plymouth Congregational Church unanimously voted to become Plymouth United Church. Their name was changed to Sherbrooke Methodist Church when they built a new church at the corner of King and Gordon streets (The current location of St. Patrick's United Church). Note the strong architectural similarity with the current Plymouth-Trinity building, which was built four years earlier. This building was destroyed by fire in 1912. An Estey Cabinet organ was installed in the King Street church between 1875 and 1878. A new church was built on the corner of Court and William streets with a seating capacity of 600, at a cost of $23,000. The horse sheds were demolished and Wesley Hall was built, with Sunday School rooms, a meeting hall and a state. It was dedicated in 1912. A 3-manual Canadian pipe organ from St. Hyacinthe was installed on May 19, 1914. Sherbrooke Methodist Church became Trinity United Church. The Casavant Organ was electrified. Plymouth United Church was threatened with demolition in order to build the St. Francois bridge. After public outcry, the construction of this bridge was postponed until the 1960s. Morning services were broadcast free of charge on CHLT from Plymouth, Trinity, and other protestant churches in Sherbrooke from 1942-1967. The Carillon bells in the tower were dedicated on November 16, 1947, as a memorial to those who served in the Second World War. The church was damaged by a fire which began in the lower hall on March 07, 1952. Members worshipped at Trinity United until the building was cleaned and repaired; it reopened for worship on June 15, 1952. The brakes on a Sherbrooke-St. Denis bus failed and it smashed into the Plymouth building on May 05, 1954, destroying the steps and breaking one of the wooden pillars. 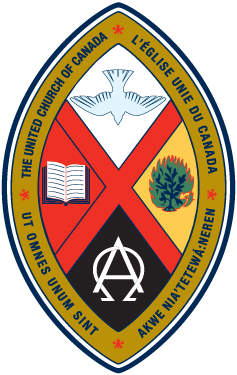 The Women's Association, the Women's Missionary and the Ladies Guild became the United Church Women (U.C.W.) with a charter membership of 93. From the U.C.W, the first woman was appointed to the Board of Stewards. The Pont St. Francois (Terrill Street) bridge was built, and a parking lot was added behind the church. Plymouth United Church and Trinity United Church came together to form Plymouth-Trinity United Church. The Rev. Fred Williams conducted a series of Sunday evening services on Portland Square in 1938 and 1939, with music provided by the Sherbrooke Regiment band. 100th anniversary of the Methodist Church in Sherbrooke. The Centennial Victory Fund raised $12,000 and the church auditorium was redecorated. In the Trinity United building, a new heating system was installed, the roof was repaired, the parsonage renovated, the sanctuary redecorated and the organ overhauled. Plymouth United Church and Trinity United Church came together to form Plymouth-Trinity United Church, after each congregation voted and Presbytery approval was received. The Plymouth congregation, as a former Congregationalist church, relinquished its rights as to property and accepted the regulations as laid down by the United Church of Canada in the Model Deed of 1925. The Trinity buildings were sold and demolished, after bringing to the Plymouth building the rose window and War Memorial tablet. Two back-lit frames containing the dedication inscriptions from all the memorial windows were also made and hung on either side of the main door. The Trinity memorial chimes became part of the Plymouth organ. The first service of the combined congregation was held on September 12, 1971. The Rev. J. Cedric Arnold and Dr. R. Graham Barr served together for one year until Dr. Barr retired on June 30, 1972. This is the bulletin of the first service (click for full-size image). In June 1974, Trinity Memorial Chapel was dedicated, with sections of windows from the Trinity building as well as the pulpit, communion table and baptismal font. Church Council and Commissions replaced the session, stewards and Official Board. The quarterly publication P-T News was started by Charles Rublee. Regular issues of Update replaced P-T News. 150th Anniversary Celebrations took place on October 19-20, 1985. An Anniversary supper followed by entertainment and a special service of Sunday worship were held. The Trinity Bell on the lawn outside the church building was dedicated. The church's 1907 Casavant organ was restored, electrified and modernised. The Sherbrooke Record newspaper printed an article describing the restoration. The exterior of the Plymouth-Trinity building was classed as a Historical Monument by the Quebec Government. The front pillars outside the church were restored. Plymouth-Trinity welcomed its first woman minister, the Rev. Jane Aikman. An elevator was installed linking the main hall and the sanctuary, and was dedicated on March 24, 1996. The main halls of the church were renovated and repainted; the old stage curtains and wallpaper were removed. The Memorial Chimes were restored and rededicated, and exterior speakers soundedthe chimes for the first time in over thirty years. The kitchen was gradually completely renovated, bringing it up to modern standards. After roughly two years of discussion, the congregation of Plymouth-Trinity voted to approve same-gender marriage. The congregation of St. Peter's Anglican Church, which had been worshipping in the building directly across the street from Plymouth-Trinity, worshipped in the Plymouth-Trinity chapel. The church building received many upgrades in response to greatly increased use of the building. The parking lot received line markings; all available storage areas were cleared or upgraded; and new storage areas were built in previously unused corners of the building. The main hall and basement were significantly altered to meet fire codes. The previous system of Church Council and Commissions was replaced by the Mission Board and Teams, no longer requiring fixed two-year elections of members. As part of the 2015 celebrations of the 180th anniversary of the congregation and 160th anniversary of the church building, small anecdotes about the history of the building or the congregation were shared during weekly worship, titled "Walking down Memory Lane". Read one of the Memory Lane messages reflecting back on Church Union on June 10, 1925.